Are you a fan of classic video games? Do you enjoy the thrill of beating someone at a good game of Pong? How about mashing someone at Combat? Even a classic round of Street Fighter? If so then you have the spirit of the retro warrior in you. Welcome to our shrine! In our lives we've played a video game on our consoles, like Street Fighter, and thought how great it would be to play it arcade style. That's why companies make arcade sticks for systems, it's for that love of arcade style gaming. Since the release of Next-Gen consoles, the classic gaming style has been somewhat forgotten. It is time to relive those days again. 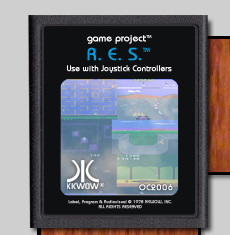 Presenting the RES Project, a large-scaled approach at bringing your classic consoles to life again. No need to worry about analog or compatibility issues, just the simplicity of a TV screen or VGA monitor and some wiring and you get yourself a place to store all your consoles as well as your own sanctuary to the retro world. This idea isn't just about putting your classic consoles in here, also the possibility of hooking up a VCR or DVD player and have an all-around classic media center. Entertain the children while keeping your regular TV free or impress friends at a party. We're not selling anything on this site! The RES Project is about showing our love to the classics as well as explaining how you too can make a RES of your very own! This project's roots started in late March / early April of 1996 when I went to a learning center called COSI. They had some Commodore 64's wired into an arcade cabinet to do some nifty sound and visual effects dealing with classic computing. While playing with the modulating voice demo (SAM), the program crashed. Since I still actively used my Commodore, I brought over one of their techs and asked them if I could rectify the error. In no time the string was fixed and I ran the program with success. While tinkering with the program I examined how they wired their cabinet and started to brainstorm such an invention. A few days later, on Wednesday, April 3, 1996, I was on Usenet surfing the newsgroups on my trusty Commodore 64 when I sent a post asking if anyone has done this sort of project before. learn how! E-mail me about it! Reply to the message! Back then my grammar and spelling were terrible, I was only 17 at the time. Though I did spark a lot of interest to others to do what I wanted to do. I received a considerable amount emails telling me that they love the idea and are pursuing to make their own console in a cabinet (or the popular fish tank in a cabinet). On December 24th, 1996, Nicola Salmoria would start creating his masterpiece called MAME. 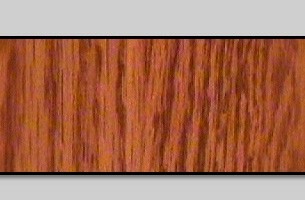 Version 0.1 of MAME was released in early 1997, this bit of news made me even more determined to get my project underway. 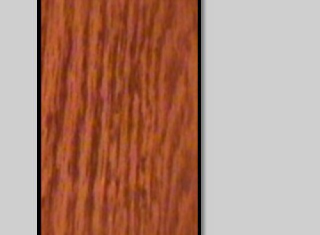 That year I bought an arcade cabinet that I felt deserved a good home - a Japanese sit-down style cabinet. 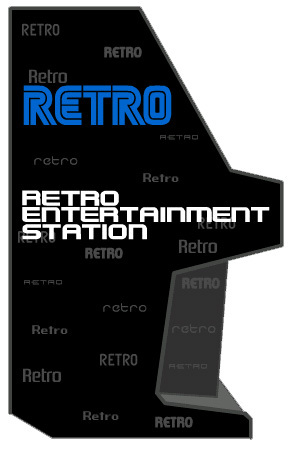 This would start the project that I have been working on for more than eight years now, the Retro Entertainment Station. That's how it all started really. I'm a retro geek that listens to 80's music and enjoys classic games. When I am not dreaming, I'm a radio jock - that likes to play 80's music! Go figure. Please enjoy this project and share it with many others out there who are retro gaming fans. This is for everyone in the gaming industry that paved the way for the future - you know who you are!